Specializing in electronic dance music, MarQ has over 24 years’ experience in the music industry. In the Last ten years, MarQ has gained recognition as one of Seattle’s top Trance/Progressive Dj's. 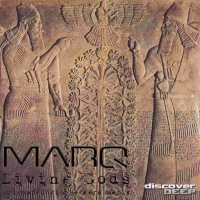 With high profile residencies at top clubs including Foundation (dj mag #55 2013/#72 2014 #78/2015) MarQ moves the crowd with explosive performances impeccable track selection and rock solid mixing. Sharing the stage with top artists from around the world MarQ is constantly showing his diversity. With a sound ranging from deep dark tech house, to melodic European trance MarQ's moving sets take you on a musical journey as they build. In the rave scene, MarQ has quickly taken his place among Seattle's finest, playing for every major promoter in the NW. Now gaining national recognition MarQ is regularly traveling the country. Electric Dawn, the popular podcast from MarQ showcases his musical style for the world to hear. With thousands of downloads a month, this has been a great avenue to reach new listeners. As a producer MarQ truly shines. Collaborating with top artists from around the world, you will find MarQ on many releases under various projects. 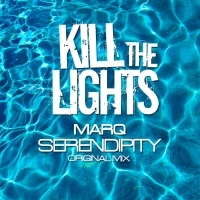 MarQs music can be found on top ppd sites like Itunes, Beatport, Dance Tunes, Audio Jelly, and dj download, and on the play list of top spinners from around the globe.